Arsenal may have found a potential suitor for striker Danny Welbeck, a player who’s been hit and miss for the Gunners since joining from rivals Manchester United in 2014. According to Turkish newspaper AMK, Turkish giants Galatasaray are interested in making a move for the England international, who was an unused member of England’s World Cup squad in Russia. 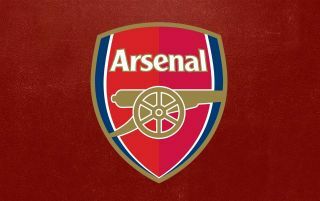 The news comes after Galatasaray have been alerted to the fact that the Gunners are willing to let the striker leave the club after a unflattering 4-year spell. 27-year-old Welbeck joined Arsenal from Manchester United for a fee reported to be £16m as per BBC Sport, with the player only managing a return of 15 goals in 80 appearances during his time at the Gunners. AMK’s report states that Welbeck is not currently keen on a move to Turkey, something that understandable given the fact that the Turkish Super Lig isn’t exactly the biggest of divisions in world football. Galatasaray still have time to mull over a potential move for Welbeck with the Turkish transfer window closing on September 1st. Only time will tell if the forward ends up sealing a move away from the Gunners this summer, a switch that we’re sure a few Arsenal fans won’t be too displeased with given the dispensability of the player.